is that every child should have the same opportunities to succeed, knowing that education is the key to success, and that education, poverty and health issues are inexorably linked. is to ensure the Neighborhood is a place where residents are engaged in their community and every child is on track to graduate high school with the abilities necessary to succeed in college, the military or the workforce. is nothing short of transformation within a generation. 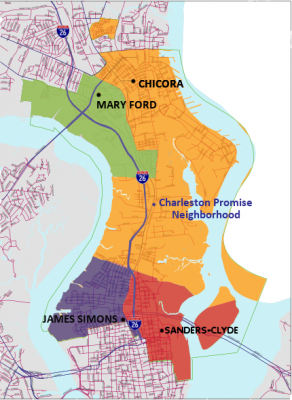 Charleston Promise Neighborhood serves children and their families in a 5.6-square mile area of the Lowcountry known as The Neck, where generations of families have been denied access to educational, environmental, and employment opportunities needed to break the cycle of poverty. 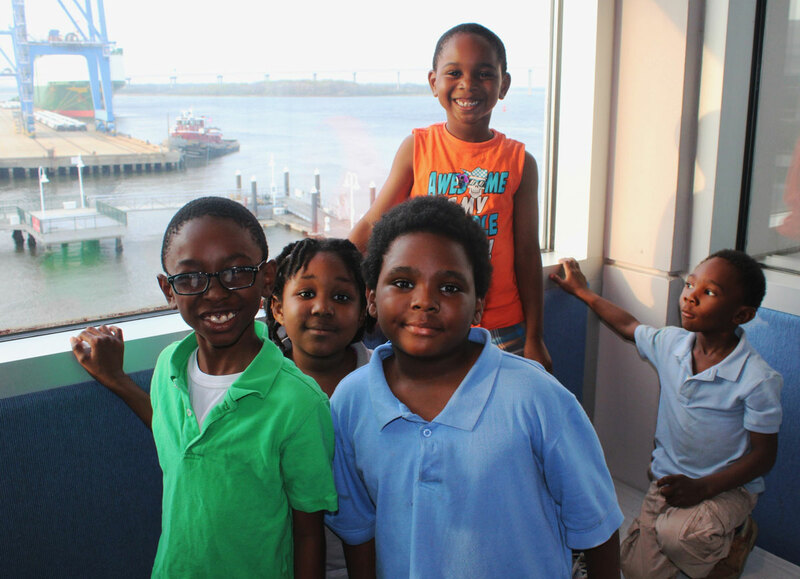 Barriers to education have kept children in our Neighborhood from performing as well in school as their counterparts in more affluent areas of Charleston County School District. Our programming focuses on creating a safe, engaging environment for our students to explore, through their natural curiosity, the world around them. This exploration accelerates learning in STEAM (science, technology, engineering, arts, math), and helps develop the 21st Century skills needed to succeed in school, career, and in life. With programming provided by Charleston Promise Neighborhood, we ensure our most vulnerable young students have the opportunity to close the achievement gap and graduate from high school prepared to succeed. for success is modeled after the historically successful Harlem Children’s Zone in New York City. Community transformation requires discipline, rigor and collaboration. is continual, and intentional. Transformation does not occur quickly. It is complex, difficult, and actions must be vigilant. Our ambitious goal of transformation in a generation requires daily commitment to create conditions that foster success.